The Mughal Empire... How did it start? Lets go waaaay back to the beginning, how did the Mughal Empire begin? 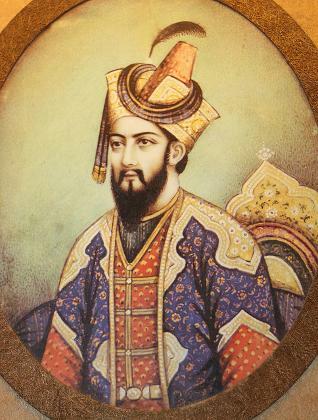 The Mughal Empire was founded by Zahir-ud-din Muhammad Babur. An Asian invader who was a descendant of Genghis Khan. Babur was from Fergana near Turkestan. The name 'Mughal' comes from the fact that Fergana was part 'Turk' and part 'Mongol', the combination of the two names is 'Mughal'. Babur was born into nobility, and at the age of 11 inherited Fergana; soon to find that other warlords wanted it for themselves. At such a young age he lost many battles, and many of his men deserted him. But he did not give up, instead he waged guerrilla warfare and see-sawed between victory and defeat. Allies became Enemies, Enemies became Allies. But he soon started to come through.